Recently I spent a week at a writers’ retreat in the south of France to start work on my fifteenth novel. The previous fourteen, half a dozen of which were co-authored, were written at desks, dining room tables, in cafés, on trains or on the couch in my living room (sometimes while supervising my small children). I quite often have a dog gazing at me while I work, asking to be taken for a walk, or a cat trying to pad across the keyboard. So having the space and time to concentrate fully on my new book, in beautiful surroundings, while the lovely people who run the retreat prepared all the food and supplied refreshments, was a treat. It also proved to be extremely productive. I wrote 21,000 words in five days, a personal record, and I came home to my desk – and children, dog and cats – having made a great start to my novel. It’s now four weeks later and I’ve just hit the 50,000 word mark. I’ve slowed down, partly because I had a new novel out, but also because of the aforementioned pets and kids. 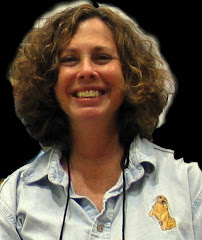 There were a number of other writers at the retreat, including several who were just starting out, working on their first books. One question they kept asking us more experienced writers was ‘How do you plan your books? Do you know exactly what’s going to happen before you start?’ Each author gave a different answer – we all work differently – but as it’s one of the questions I get asked most (second only to ‘Have any of your books been made into movies?’) I thought it might be interesting to explain how I do it. 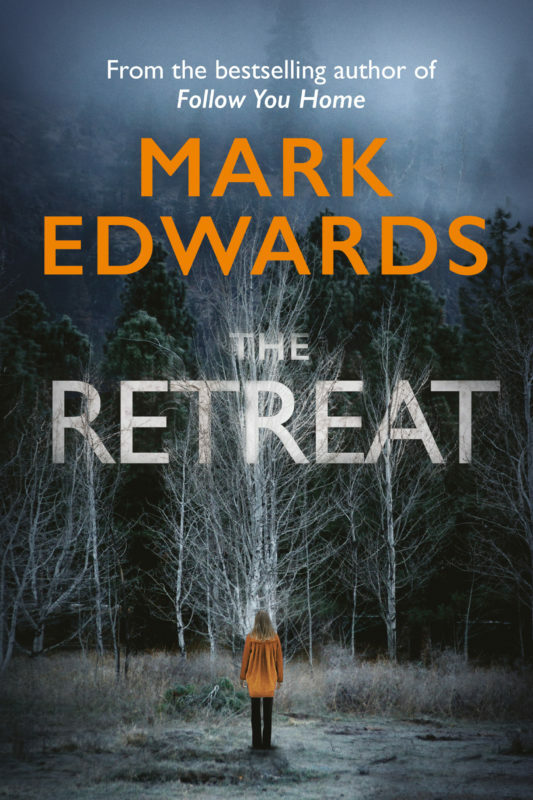 I’m going to use the novel I just mentioned, The Retreat – coincidentally, set at a writers’retreat, with a missing child and various creepy goings on – as a case study. The Retreat started with a vision: a couple were walking beside a lake on a winter’s day, with a young girl ahead of them. The girl vanishes into a copse and when her parents catch up, she’s gone. Her coat is floating in the water. But I knew that when the police searched the lake, no body would be found. I spent some time thinking about what was happening in this scene and whether a novel could grow from it. I often have separate ideas floating about in my head and try to fit them together. I had long wanted to write something where an author was the central character, even though publishers usually tell us not to do it. Still, if it’s good enough for Stephen King, it’s definitely good enough for me, and I thought a writer’s retreat would make a great setting for an atmospheric mystery. I soon had enough of a basic idea to write a one-page outline to show my agent and publisher. This outline contained the set-up – young girl vanishes, apparently drowned, her mother opens a retreat and a writer helps her investigate – along with a couple of other scenes I’d imagined. By this point, the lake had turned into a river and the coat became a soft toy. And the rest of the outline was extremely vague. I had no idea where the girl was, what had happened to her or how my characters were going to find out. I didn’t know who else would be staying at the retreat, what spooky things were going to happen or even the precise setting. But I had enough to make a start, to get the main characters down on paper, and soon the retreat itself, the town and the woods that surrounded it, came into focus. When I was four or five chapters in, I watched a documentary about urban legends. I don’t want to reveal what it was for fear of spoilers, but it sparked something in my mind and suddenly, in a flash, I knew what had happened to the little girl. I knew my theme; what I was trying to say with this story. It was an exciting moment. That doesn’t mean, though, that I knew everything that was going to happen. Far from it. All the fine details of the plot still needed to be worked out. Characters had to be created. But this is the part I most enjoy: figuring it out as I go along. I wrote The Retreat fast, forcing myself to stay at my computer every day until I’d written 3000 words. I had some days off – because of life, kids, etc – and I never write weekends but the first draft was done in eight weeks. After that I went to Australia for two weeks. I started reading through the book on the plane, making notes on my iPad (I have an Apple Pencil which allows me to scrawl on the document as if it were a printed document) and when I got home I fixed most of the problems, rewriting and editing, which took another six weeks. Some parts of the story only came to me during those edits. But four months after I’d started, the book was done and ready to go to my editor. Some of my writer friends tell me I should plan my books before I start. They swear by five-act structures and index cards pinned to cork boards. But I can’t do that. I have to be there, in the heat of writing, seeing the world through my characters’ eyes before the story tells itself to me. And then I pass that story on to my readers who, so far, have made it my best-reviewed book. My process works for me and I’m not going to change it. I am, though, hoping to start each of my books while at a writer’s retreat. I can work with the chaos of my life swirling around me, but it’s even better when I don’t have to. 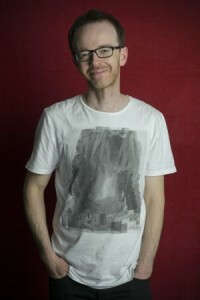 Mark Edwards writes psychological thrillers and has topped the UK bestseller lists seven times, selling over 2 million books. His novels include Follow You Home and The Magpies. He lives in the West Midlands, England, with his wife, three children, two cats and a golden retriever.